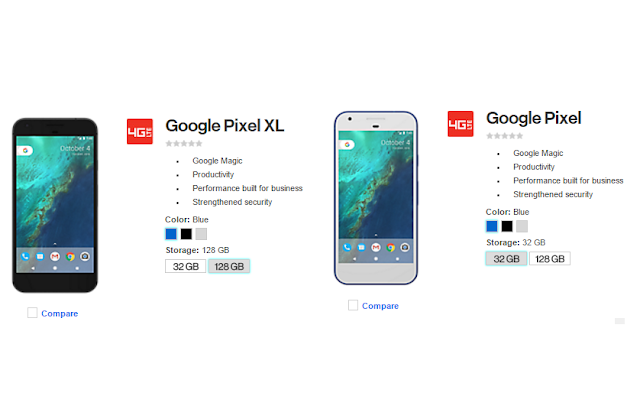 Last night, Google Pixel and Pixel XL Showed Up at bunch of Retailers website including Carphone Warehouse, Telus, and Bell. The listing almost revealed everything about the 2016 Google Smartphone's except Pricing details. 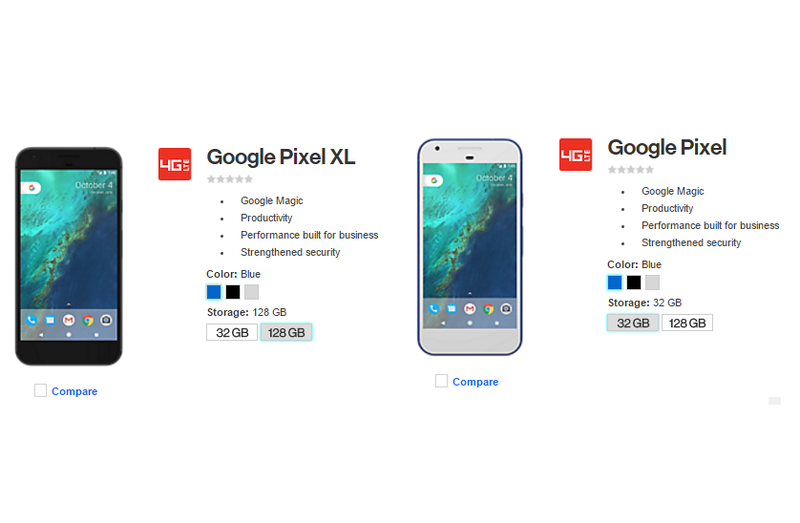 Today, The Pixel and Pixel XL gets listed on Verizon's website revealing some new features and colors of Pixel/XL. According to the listing, Both the devices will come with "Blue","Black" and "Silver" color. A new feature which is listed is "Google Magic", We will get to know more about it today @Google event.